Rose Wine, photo by Ulrika, Flickr.com. Our recent summer heat wave is a perfect time to sip rosé, but honestly, this easy-to-pair-with-almost-any-food, warm weather go-to wine has become a year-round favorite for me—and I know I’m not alone. Among the many excellent rosés I’ve had the pleasure of tasting recently, one of the highlights was Brick Barn Wine Estate‘s 2016 Grenache Rosé. Inspired by the classic dry rosés of the Rhône Valley, this lovely wine was a 2018 Silver Winner in the San Francisco Chronicle International Wine Competition. 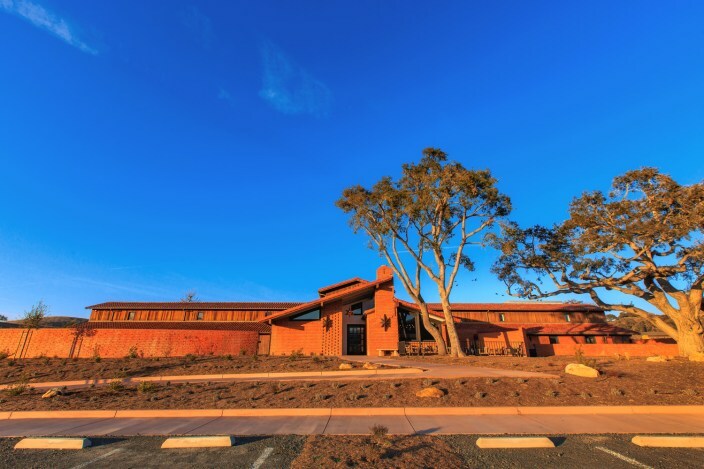 For the best experience, visit their recently opened estate vineyard, located on a historic 1,100-acre ranch in Buellton (795 W. Hwy. 246), a stunning spot to savor both the wine and the views. Brick Barn Wine Estate Winery, photo by Bottle Branding, courtesy Brick Barn. Another local favorite is Margerum Santa Barbara County 2017 Riviera Rosé, crafted from Grenache and Syrah grapes sourced from select vineyards including Estelle and Camp 4 vineyards in Santa Barbara County and Alamo Creek Vineyard in San Luis Obispo County. Dry and refreshing, this is a consistent go-to wine for me. Dolin Malibu Estate Vineyards 2015 Rosé of Pinot Noir uses grapes from three prominent Central Coast vineyards to create this refreshing Rosé, which offers up enticing aromas of berries and melon followed by a crisp, fruity finish. Herzog Lineage Rosé 2017 blends 12 grape varieties from the Herzog’s family’s Prince Vineyard in California. Their Oxnard-based facility prides itself on keeping Kosher, without any negative impacts on the taste of the wine, which features aromas and flavors of ripe strawberries, papaya, and pomegranate seeds. Winemakers note that this unique rosé should be served very cold, which is my preference in most cases. Rose Wine, photo by Susanne Nilsson, Flickr.com. Psagot Rosé 2017 is another Kosher blend of red grape varietals, in this case they’re harvested from vineyards located in the northern Jerusalem Mountains at a height of 700 meters. With a very clean and fresh flavor, the wine pairs particularly well with Mediterranean cuisine. Another excellent Kosher rosé is the Tabor Adama Barbera Rosé 2017, which is characterized by red berry and cherry aromas and high acidity. Israeli producer Tabor showcases these attributes in a flavorful, light-bodied wine with a nice balance between the fruity notes and the acidity. The 2017 BY.OTT Cotes de Provence Rosé is an elegant yet friendly French bottle with a pale, pretty color and a delicate and fruity nose and taste that’s perfect for toasting a happy couple at a price point that won’t break the bank. Sparkling rosés are also terrific for toasts, and have become quite popular of late. Santa Margherita Prosecco Superiore DOCG is a perfect choice for your next summer party. The fruity flavor and aromas of peaches and flowers pair well with seafood, cheese appetizers and dessert. And bubbles always add a festive touch. 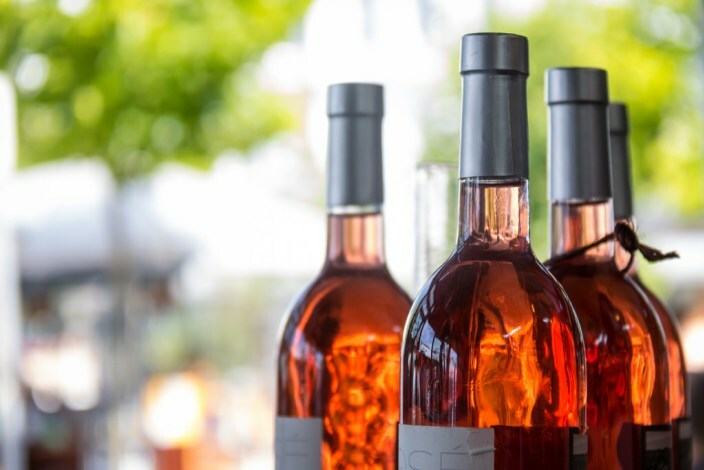 There are two main ways to produce rosé wine, and in both cases they’re made from grapes with dark skin,” explains Gabriel Geller, Vice President of Public Relations for The Royal Wine Corp. The first method is known as maceration. After the red or black grapes are pressed, the skins macerate in the juice for anywhere from a few minutes to a few hours, until the desired color is released. The second method is called saignée, which is French for “bleeding.” The red or black grape skins are pressed with the skins, producing a slightly pink-colored juice. This juice is fermented into wine that will become a rosé. 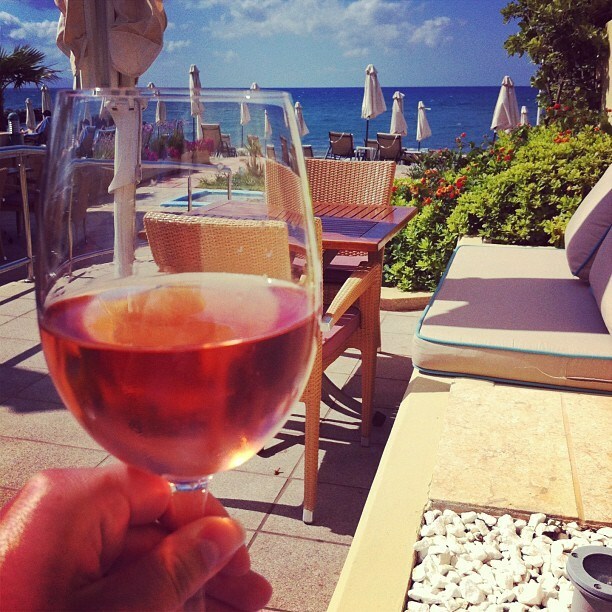 Whether you prefer your rosés fruity, slightly sweet, or very dry—they’ll pair beautifully both beachside or poolside. Enjoy! Click here for more Cocktail Corner columns. Originally published in Santa Barbara Seasons on July 13, 2018.